After leaving Hokkaido I take a ferry to Hachinohe City 八戸市, Tōhoku 東北, to begin the final leg of my 2012 cycle tour through Japan. 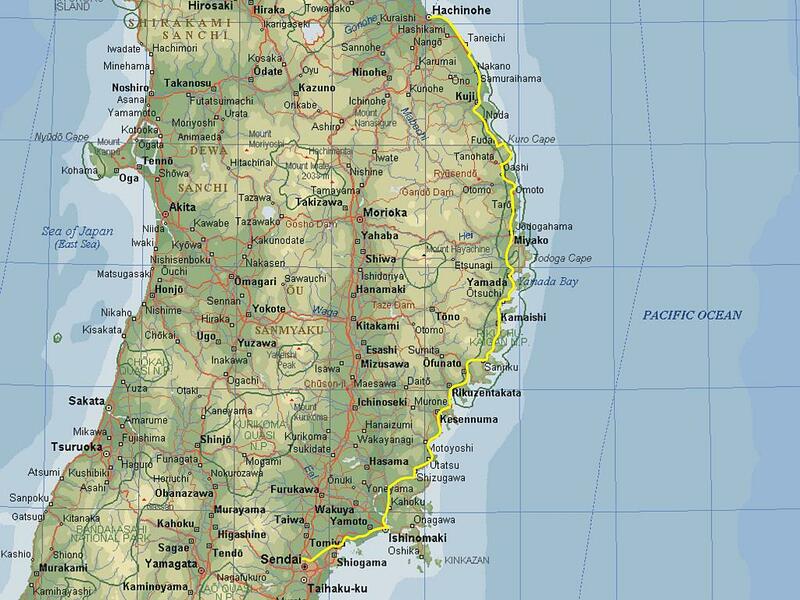 This is a journal of the 400+km ride, mostly on Route 45 from Hachinohe 八戸市 to Sendai 仙台市. 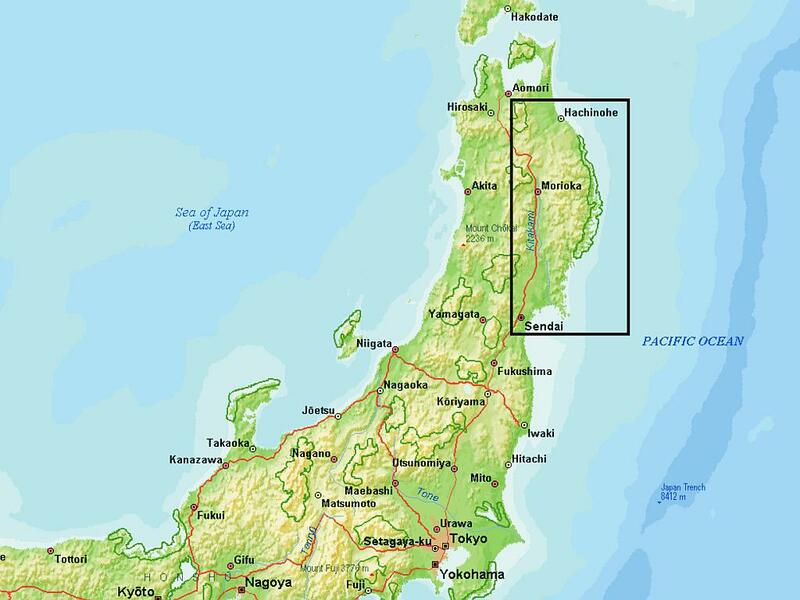 It passes through some of the most affected areas of the devastating Great East Japan Earthquake and Tsunami that struck on 11th March 2011. Apart from the actual journey itself, I have included other historical information where applicable. Day One: Saturday 28th July – Hachinohe to Fudai. Day Two: Sunday 29th July – Fudai to Taro. 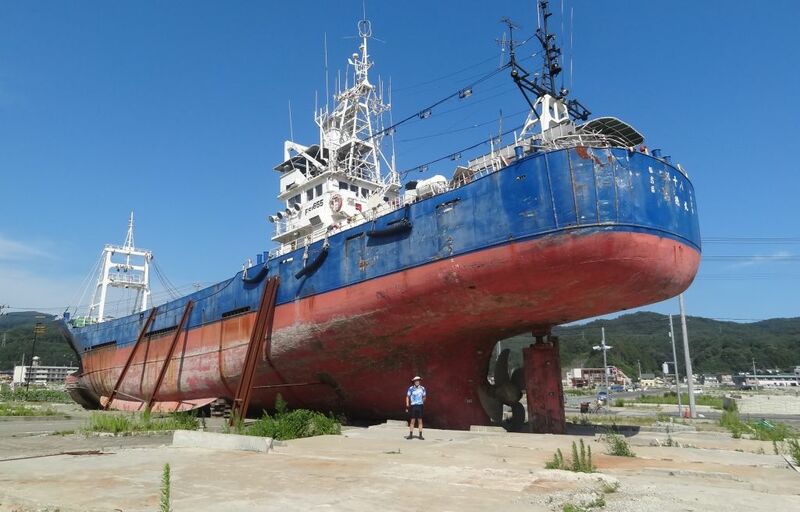 Day Three: Monday 30th July – Taro to Yamada. Day Four: Tuesday 31st July – Yamada to Sanriku. Day Five: Wednesday 1st August – Sanriku to Oyakaigan. Day Six: Thursday 2nd August – Oyakaigan to Tsuyama. Day Seven: Friday 3rd August – Tsuyama to Sendai.